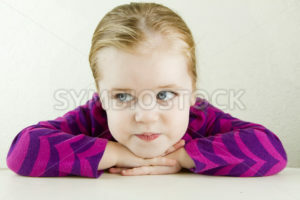 Young girl with a huge smile on her face. 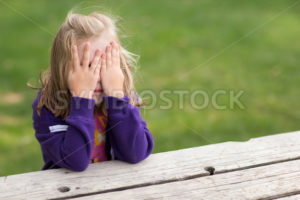 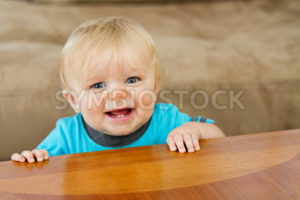 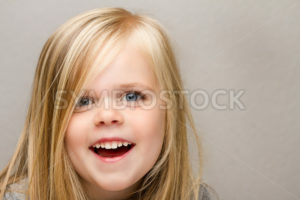 A Close up shot of a young girl laughing isolated against a medium gray background. 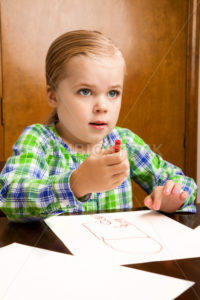 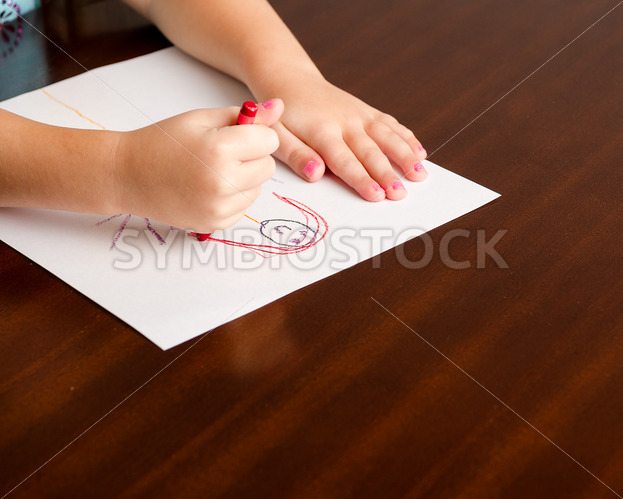 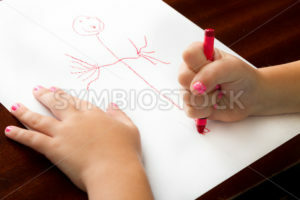 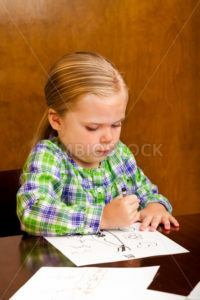 Child at the table drawing with paper all about her.